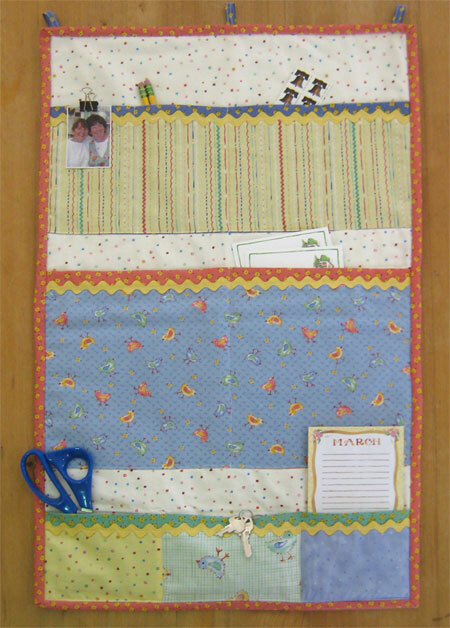 Susan's Wall Organizer Pattern makes the perfect place to keep things like mail, note paper, stamps, etc. A great thing to hang by the kitchen phone or in your home office. Finished size is 16" x 27". Pictured using Susan's "Spring Chicken" Fabric line by Quilting Treasures.